Vulnicura: cure for wounds. An exercise in fearless open-heart surgery, Björk's best album in years fused close-up confessionals, microbeats and chamber strings to overwhelming, uplifting effect. If often Björk feels like little more than our own ephemeral construct, an alien encounter given shape partly by our own wild imaginings, with Vulnicura she sought a connection with the listener that grounded her in head-spinning fashion. Throughout 2015, that connection gained hold and as her ninth solo album (a raw documenting of the break-up with her long term partner) wove its dark magic, Björk and her audience seemed to edge ever closer to each other. Time passed and the songs bloomed. Vulnicura came stumbling into the world, its release hiked to January after an unexpected leak. Nearly 12 months on, it stands as one of the year's most well-regarded and essential releases. As appears to be her preference these days, Björk kept touring to an absolute minimum: eight debut dates in New York and a handful in Europe before cancelling all remaining shows to work on her next project. An eye ever on the future, Björk tosses the map and we love her for it. We trust even her wildest fancies. By now, nothing she could do could cause confusion or objection. "Saw that Björk the other night, mate. Yeah, well weird. Came on dressed as a bee or a moth or something." 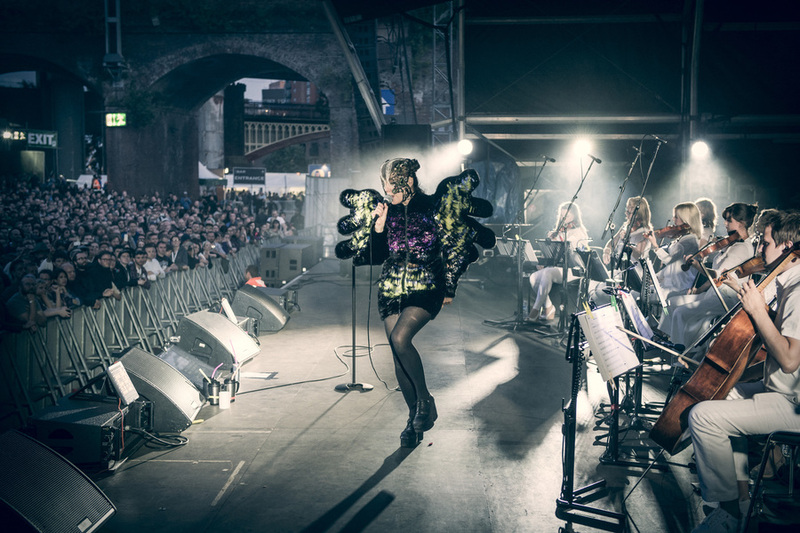 At the tour's single UK show in Manchester, where she took a sprawling outdoor crowd and came close to pulling every outlying audience member into the chamber intimacies of her extraordinary performance, she did indeed perform dressed as a moth, complete with wings, face mask and head dress. On one level, madness; on another, the most perfect sense. "An eye ever on the future, Björk tosses the map and we love her for it"
But Björk doesn't do normal, and while some of her more left-field wanderings prompt admiration rather than ardour, she certainly doesn't do boring. She wouldn’t know how. But with Vulnicura, she was very nearly human. If 'relatable' means being able to feel and hear the artist's heartbeat, then this was Björk's most relatable album by some distance. Co-produced by The Haxan Cloak and Venezuelan DJ and producer Arca, Vulnicura largely abandoned the beats that had characterised much of her recent work and returned to the strings of 1997's Homogenic. It takes repeated listens for the songs to emerge. The album's gentle relief (sonic and emotional) is drawn with subtlety and care: there is no dramatic ebb and flow. Songs clock in at three minutes, some at ten minutes. The casual listener should look elsewhere, as should the audiophile or the bluffer: even the sturdiest coffee table would crack under Vulnicura's weight. She toys with the sacred on Family, an eight-minute conflagration of voice and barely-there strings: "How will I sing us out of this sorrow? I raise a monument of love." On the opening Stonemilker – a title alone that makes language feel new, brimming with narrative – she sings, "I wish to synchronise our feelings," and the tone is unflinching and accusatory. The formality of the language, a feature throughout, creates an uneasy drama. Beyond rage, Björk explores the awful complexities of love with a steady eye. The skitter of Mouth Mantra: beats hesitant and staccato – amidst snap-pulses, whirrs and bleeps she finds traction, a way forward. "I have followed a path that took sacrifices / Now I sacrifice this scar." Still, it's perhaps too tempting to read Vulnicura as a journeying, a fearless tackling of the unthinkable. Come its end, is there peace or even understanding? Perhaps. But the closing Quicksand has more questions than answers and the outcome is largely left to the listener. "Hackle this darkness up to the light," sings Björk: bravura wordplay, courage under fire, unfettered ambition. Vulnicura may yet turn out to be her finest work yet.